Patricia A. McCormack, Fort Chipewyan and the Shaping of Canadian History, 1788-1920s “We like to free in this country” (Vancouver: UBC Press, 2010). Terry Sullivan, The Church of the Empire Versus the Christian Church of North Africa: 312-430 AD (Denver: Radical Christian Press, 2012). Karin Fischer, Eine Klasse für sich, Besitz, Herrschaft und ungleiche Entwicklung in Chile, 1830-2010 (Baden-Baden: Nomos, 2011). May Chazan, Lisa Helps, Anna Stanley, & Sonali Thakkar, eds., Home and Native Land: Unsettling Multiculturalism in Canada (Toronto: Between the Lines Press, 2011). Adrienne Shadd, The Journey from Tollgate to Parkway: African Canadians in Hamilton (Toronto: Dundurn, 2010). Lina Sunseri, Being Again of One Mind: Oneida Women and the Struggle for Decolonization (Vancouver: UBC Press, 2011). Victor Leontovitsch, The History of Russian Liberalism in Russia (Pittsburg, University of Pittsburg Press, 2012). Ian Bullock, Romancing the Revolution: The Myth of Soviet Democracy and the British Left (Edmonton: Athabasca University Press, 2011). Alvin Finkel, Sarah Carter, and Peter Fortna, The West and Beyond: New Perspectives on an Imagined Region (Edmonton: Athabasca University Press, 2010). Peter Morton Coan, Toward a Better Life: America’s New Immigrants in Their Own Words–From Ellis Island to the Present (New York: Prometheus Books, 2011). 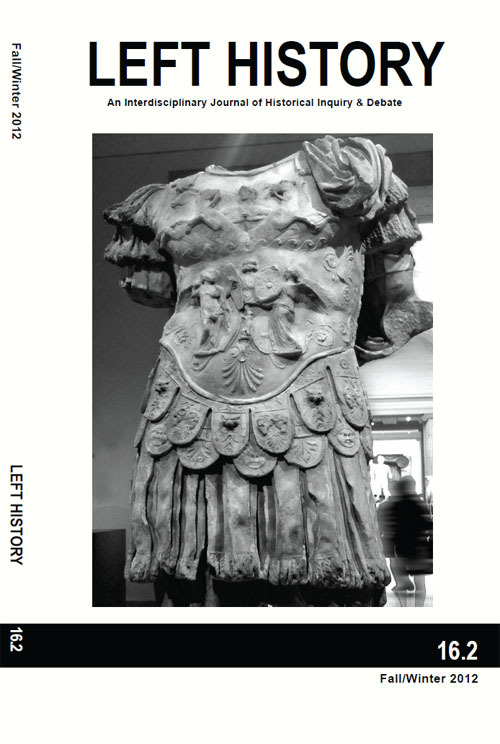 Axel Körner, Politics of Culture in Liberal Italy: From Unification to Fascism (New York: Routledge, 2009). Stephanie Ross and Larry Savage, eds., Rethinking the Politics of Labour in Canada (Halifax, Winnipeg: Fernwood Press, 2012). Randall Wakelam, Cold War Fighters: Canadian Aircraft Procurement, 1945-54 (Vancouver: UBC Press, 2011). Victoria W. Wolcott, Race, Riots, and Roller Coasters: The Struggle Over Segregated Recreation in America (Philadelphia: University of Pennsylvania Press, 2012).